AMA Monster Energy Supercross returns in early 2019! With it's seventeen-race schedule crossing the US, AMA Monster Energy Supercross is sure to wow at a more accessible level than ever. Get your AMA Monster Energy Supercross tickets at Ticket Galaxy today! AMA Monster Energy Supercross is a motorsports FIM World Championship that occurs in two divisions from January to May. The riders are narrowed down to a final round that takes places at Las Vegas's Sam Boyd Stadium in early May. Throughout the months, riders participate in the different events to earn points that will contribute to their final score. 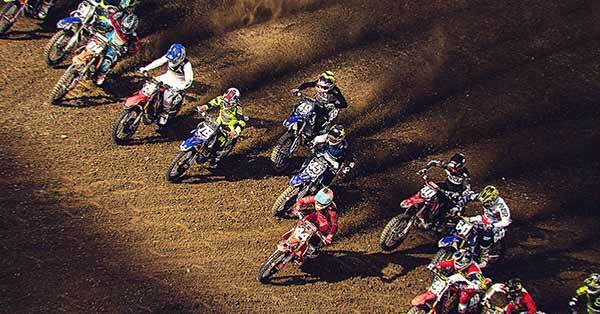 Get AMA Monster Energy Supercross tickets at Ticket Galaxy and enjoy all of the action live! Purchase your AMA Monster Energy Supercross tickets at Ticket Galaxy! Choose your event date and click "Find Tickets" to bring you to our array of seating options. Select your tickets on the maps page by clicking the price box. From there, TicketGalaxy.com will bring you to our checkout. Get your AMA Monster Energy Supercross tickets quickly and easily today!